The Straight 8, or Straight Eight, variety is a vigorous and productive open-pollinated Cucumber that is excellent for slicing. Released in 1935, Straight 8 was an All-America Selections Winner. 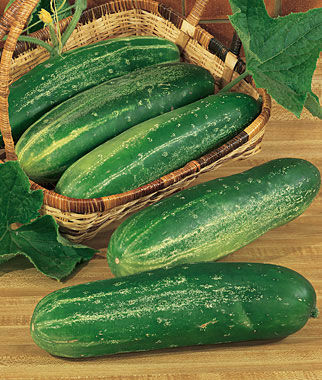 Plant Straight 8 Cucumber seeds in either sun or partial shade and enjoy high yields and a delicious taste.